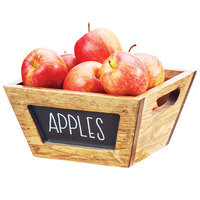 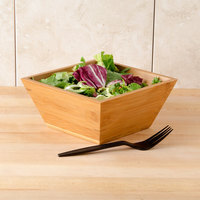 These wooden bowls come in round shapes or square designs and offer a variety of storage capacities to meet your needs. 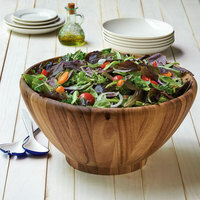 The majority of these wood bowls are made of attractive and durable bamboo that's also eco-friendly. 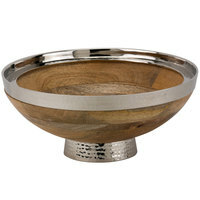 The warm, wood-like tones of these bowls make them versatile enough to be used at both casual restaurants and trendy bistros. 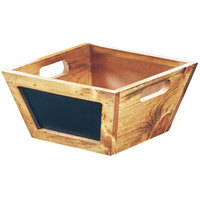 Also make sure to check out other great items from 10 Strawberry Street, American Metalcraft, Cal-Mil and Elite Global Solutions. 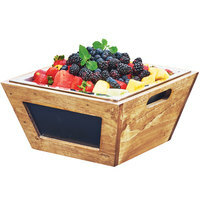 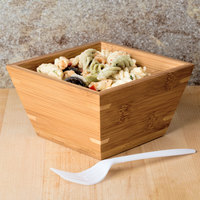 American Metalcraft BAM94 Square Bamboo Bowl - 9 1/2" x 4"
American Metalcraft BAM53 Square Bamboo Bowl - 5" x 2 7/8"
American Metalcraft BAM124 Square Bamboo Bowl - 12" x 4 1/2"
American Metalcraft BAM73 Square Bamboo Bowl - 7" x 3 3/8"
Cal-Mil 3555-14 Wood Accent Bowl - 14" x 3 1/4"
Cal-Mil 3593-10-99 Madera Reclaimed Wood Chalkboard Bowl - 10" x 10" x 5"
Cal-Mil 3593-12-99 Madera Reclaimed Wood Chalkboard Bowl - 12" x 12" x 6"
Cal-Mil 3593-8-99 Madera Reclaimed Wood Chalkboard Bowl - 8" x 8" x 4"
Angled bamboo bowls are a great option for your business since their curvy shape provides improved product visibility to increase impulse sales. 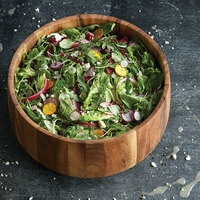 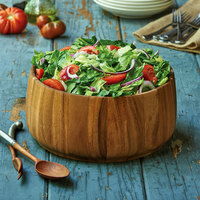 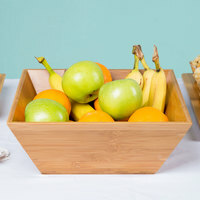 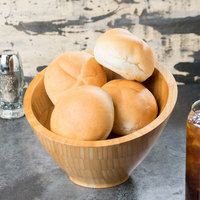 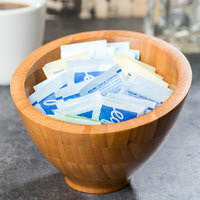 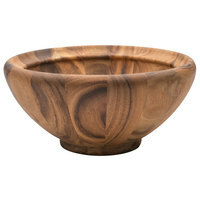 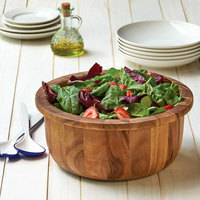 Regardless of your businesses, guests will love the natural and rustic appearance of wooden bowls. 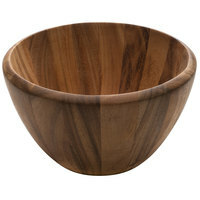 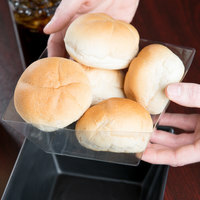 Don’t forget to pick up a BPA-free PET plastic liner for your wooden bowls for easy cleanup. 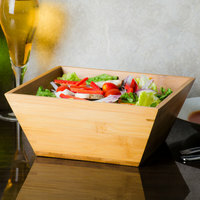 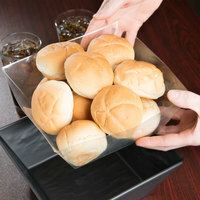 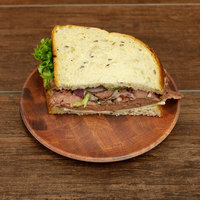 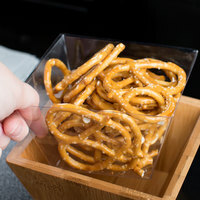 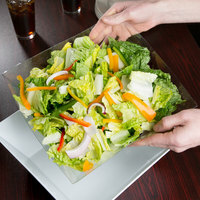 For similar products, check out our bamboo and wooden skewers, wooden serving platters, and reusable plastic bowls. 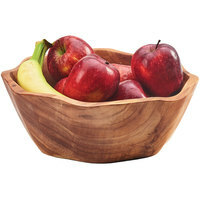 If you're wondering where to buy wooden bowls, we have a large selection of wooden bowls for sale at the lowest prices.